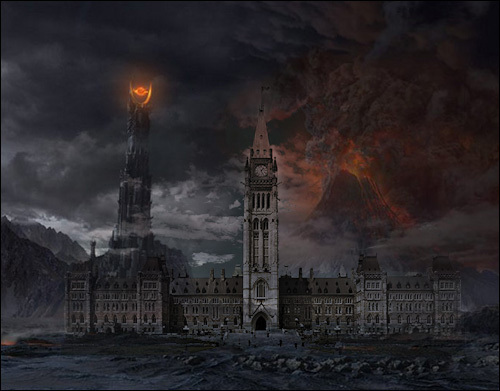 With Prime Minister Stephen Harper's hopes for a Conservative majority now an unfortunate reality, Canadian Parliament's transformation into Mordor is complete. 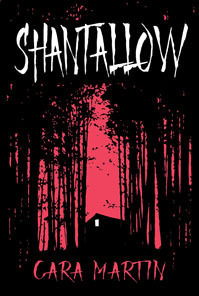 At this juncture I must advise fellow citizens to be aware of the risks inherent in approaching the nation's capital. Anyone other than the true blue should proceed with extreme caution, lest they be captured and turned into Orcs (an extremely unpleasant conversion process). Meanwhile Jack Layton, Bob Rae, Elizabeth May and a band of young Quebec NDP MPs will be making the perilous journey to attempt to destroy the One Ring in the fires of Mount Doom and thereby hobble Harper's malevolent power. I wish the Fellowship of the Ring well and extend them my eternal gratitude but the rest of us should be aware that in all likelihood we will soon be called to join the battle for Middle Earth.